Back in the DS era, the various Brain Age games were a massive success. With the first one selling around 20 million copies and the sequel about the same, they were hugely popular just about everywhere in the world. Including Europe. Yes, none of the games really worked that well with British accents, but we loved them none the less. Which just makes the case of Dr Kawashima’s Devilish Brain Training such a strange one, With a series so popular all over the world, why did this game never get released in Europe? Why at random did the series just end without any rhyme or reason whatsoever? Why is the game not out in Europe? Because it’s nothing to do with the content. Sure, the ‘devil’ aspect might be controversial in some areas. But the UK isn’t one. I mean, we tend not to care very much about whether something is ‘Christian’ or not. Our population as a whole generally isn’t a particularly religious one, with only 30% identifying as religious in a 2015 poll. Add the ‘devil’ aspect remaining in the title, and it’s pretty clear that content isn’t a reason the game hasn’t come to Europe yet. Technology doesn’t seem to be a reason either. Yes, I’m not a programmer. I don’t know what sort of technology this game might be using behind the scenes. But it’s most likely not something that could cause it to never get localised. 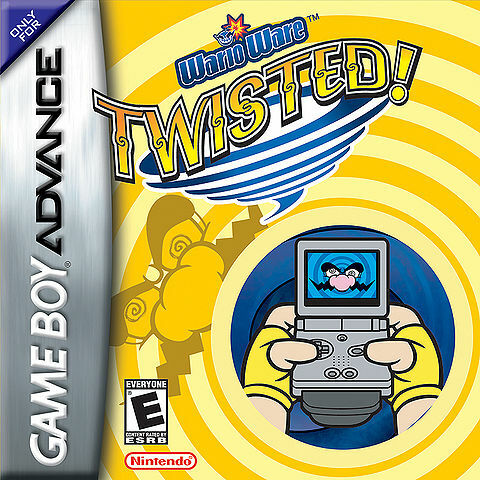 Its not like the game has a gyro sensor, like the one misblamed for WarioWare Twisted not getting a European release. There’s no feature here that would go against some EU regulation or another. And while Brain Age is less of a big deal, it doesn’t seem to be popularity based either. Remember, there is still an audience for ‘casual’ games on the 3DS. Okay, it’s not as massive as it was on the DS where games like Nintendogs sold in the tens of millions and New Super Mario Bros easily broke the 20 million mark. But it’s there none the less. Nintendogs + cats sold 5 million copies on the system since it’s release, and that mostly appeals to a similar audience. Heck, that game even sold about 2 million copies in its first two weeks on sale. That’s pretty impressive for a title on a system that appeals to core gamers more than any expanded audience. Add the decent sales of other franchises popular in Europe like Professor Layton, and it’s quite clear the game would still have potential on the 3DS. Even at its lowest, it’s likely the game would sell at least a million copies to 3DS owners. So why’s it not been released? Why did the US get it in 2013, while Europe never got the game at all? Well, I did find one small ‘clue’ in an article by Game Asylum. There, they mention that Nintendo of Europe delayed the game “to optimise the best possible launch timing of this title within the European market.” So it seems like Nintendo of Europe wanted to wait until a more ‘appropriate’ time to release game. And I also found comments that the game apparently didn’t sell too well in Japan or North America. So based on this, Nintendo of Europe would apparently decide the series was ‘dead’ and wouldn’t release the game in Europe. But I’m not convinced by this logic. For one thing, while this game likely isn’t a success (it’s not broke the 1 million mark as of this article), actual sales data seems quite hard to find. No, VG Chartz and various wikis don’t really count here. So did it sell only a few thousand copies in any region? Eh, seems a bit extreme, even for a failed 3DS game. Based on the charts some sites have, you’d think this game sold worse than even the worst selling games on the Wii U, despite being on a console about 6 times more popular. And even if it did sell that badly, it makes me wonder why Nintendo wouldn’t just release it anyway. I mean, it’s already apparently been localised. Would Nintendo of Europe really not release a game in that state? Cause that seems unlikely. They’re part of a company that’s shown themselves willing to release anything even remotely viable regardless of whether the market actually wants it or not. What’s more, who’s to say it couldn’t potentially do better in some European countries? People like games like this over in the UK, that’s why they became such hits back in the DS’ heyday. So again, seems strange that Nintendo of Europe wouldn’t at least take the chance here. So there’s not really any immediately apparently reason I can see for the delays. And somehow, it seems like Nintendo hasn’t forgotten about the game anyway? Because it’s still on the 3DS release schedules they put out every year. Oh sure, it doesn’t have a release date (just something like ‘TBD’). But it’s there, along with various other ‘missing’ titles like Project Giant Robot. So it seems someone at Nintendo has some sort of plan for this game and its eventual release. It just never seems to come to fruition for whatever reason. So what do you think? Why is Devilish Brain Training still not out in Europe despite it being available elsewhere for more than 3 years? 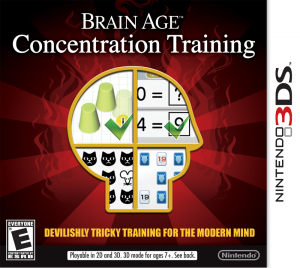 Dr. Kawashima’s Devilish Brain Training Launches in Europe This Week! Has Dr Kawashima’s Devilish Brain Training been Delayed?